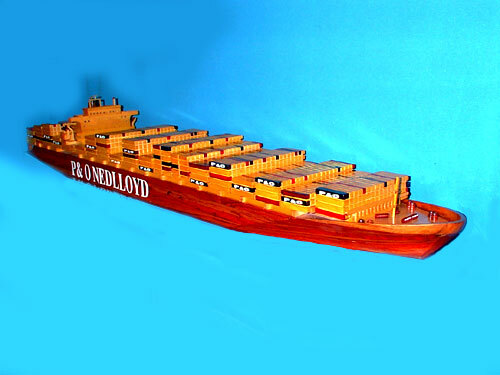 [overall with display base: 49-1/2 x 13-1/2 x 12 inches]. Propeller and rudder turns. 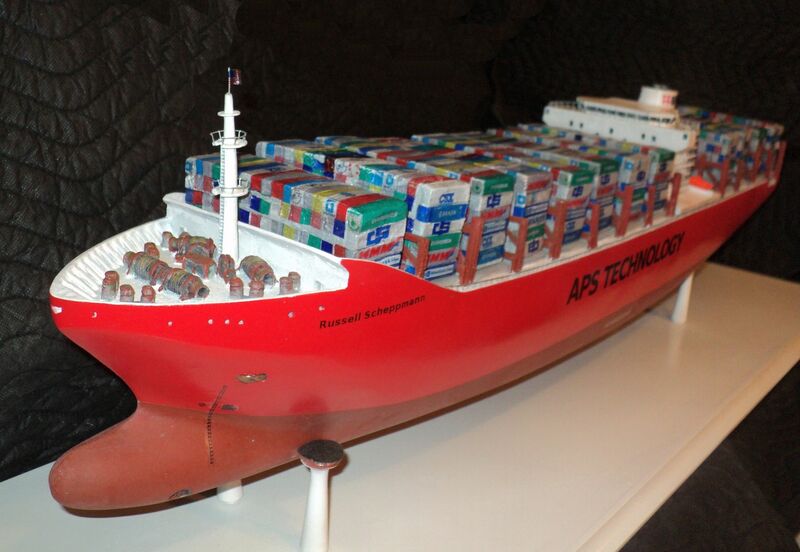 12 Container stacks. 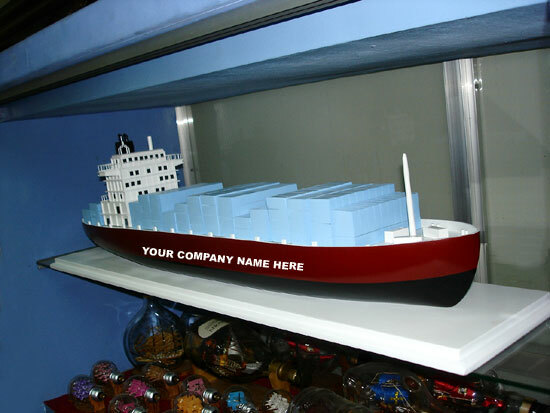 Inquire about our other exclusive container ships custom finished for you! !